If you heard a loud noise from the garage it can really be that you have a broken spring and if this is the case you should call a professional garage door spring repair company and have them do your garage door spring replacement job, if you are not an expert tech with experience it's better you don't try to repair or replace your garage door broken spring by yourself this can cause serious injury. Our technicians carry all types and sizes of springs, if it torsion or an extension spring we have them all to make sure we provide our customers the service they need in the first visit. Same day Service for garage door spring repair and replacement. Our expert technicians will repair or replace your garage door springs and also make sure that all the hardware and all other parts are in good condition. 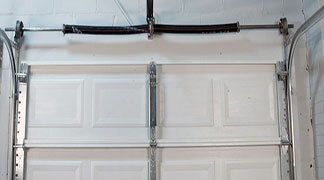 Since garage doors come in different weights and sizes, we make sure to install the right springs in order to properly balance the garage door.